21-04-19: Get the Best Exclusive Price & Discounts from our Developer Sales Staff, only by prior appointment here. 21-04-19: Our Price Chart & Balance Unit Chart is now updated and available here. 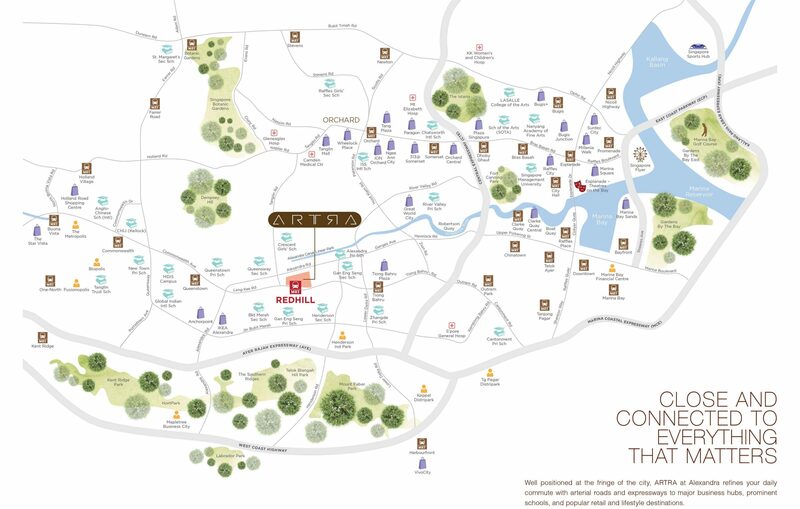 ARTRA is a prestigious private property development, located at Alexandra View, just beside Redhill MRT. Developed by FEC Skyline Pte. 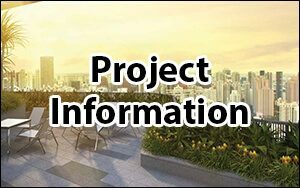 Ltd., Artra Condo offers 400 luxurious residential units. 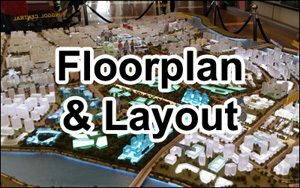 There will also be a shopping mall at the 1st floor, with 1 Supermarket,16 Shops and in-house Childcare Center, for the convenience of residents. Artra Condo boasts of full condominium facilities, with Tennis Court, Club Lounge, Lap Pool, Sky Jacuzzi, Sky Fitness and various Rooftop Pavilions. With the excellent location of Artra Development, accessibility and transport is convenient for residents. With direct MRT train rides to CBD, Changi Airport, and town, work, play and travel is truly within easy reach. Artra Condo is well-suited for family living. 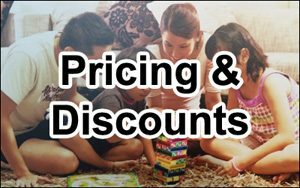 With a wide selection of units sizes and types from 2 + Study units to 5 + Study with Private Lift units, there is an ideal layout for family size at Artra Singapore. Our Artra Showflat is available for viewing by appointment (10am – 7pm). 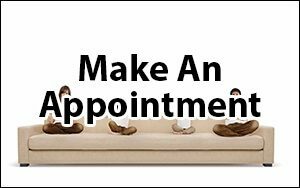 Do contact us to make a showflat appointment at Artra Condo. 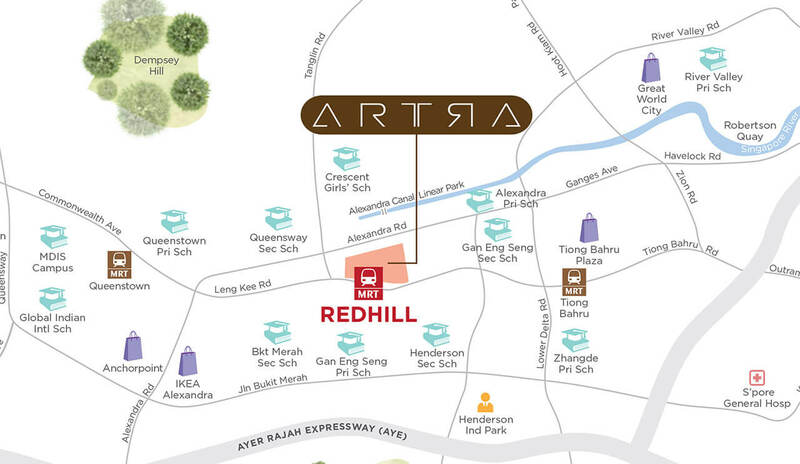 Artra Condo boasts of an enviable location, situated directly next to Redhill MRT Station. Travelling by train is extremely fast and efficient, and residents can reach City Hall and Raffles Place within 10 minutes. Major Expressways and arterial roads are also nearby, giving great connectivity to those who commute by car. Amenities are within reach, with a shopping mall just below the residential units, and traditional market and shops just across the road. Great Food is always a delight. With extremely good food and wide selections at ABC Brickwords Food Center, Tiong Bahru Market, various trendy cafes at Tiong Bahru area, ARTRA is at the center of food haven.